New England Bites: May Vacation 2010 - Food, Fun, and More Food! May Vacation 2010 - Food, Fun, and More Food! Hey everyone! I've made my return to NEBS to rub in your face share with you all the fun things that Mom and I did on my week-long vacation away from the office. Please enjoy our picture show of the places we visited and the delicious things we ate along the way. 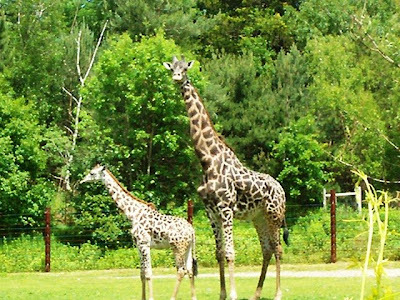 On Monday, I dragged Mom out on the second hottest day of the week to visit the Franklin Park Zoo in Dorchester. She had a few fits about the heat, but I told her that it was only 79 degrees. On the ride home, we saw on one of those bank temperature things that it was actually 91. She actually started getting hotter once she learned the real temperature. How is that possible? 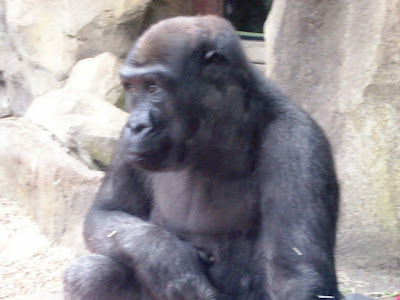 Gorilla youngster bored with picture-taking. 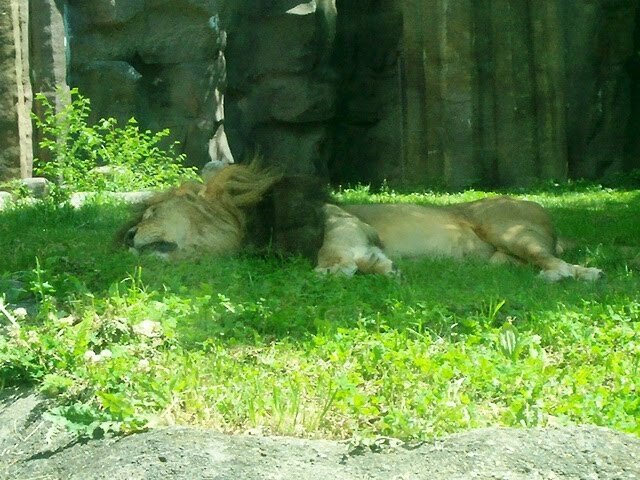 Lion loafing under a tree. It was lots of fun watching Mom's face turn Pomegranate-colored, but we drank lots of water and stayed in the shade. Meanwhile, we saw a ton of beautiful animals that seemed to be enjoying the heat as much as Mom was. Baby and mommy giraffe feeling the heat. 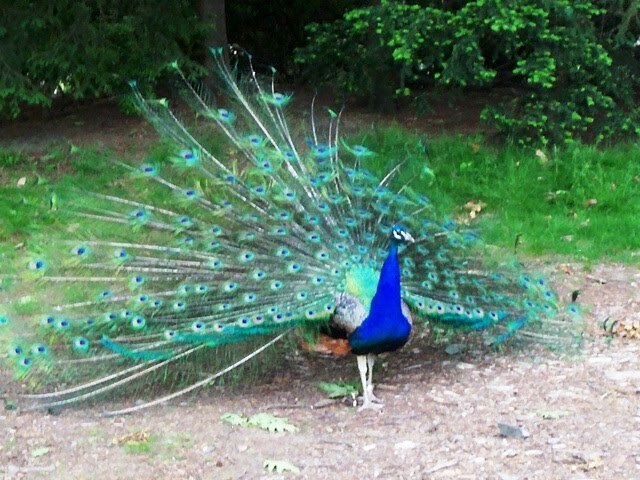 This peacock had just put his feathers away. Snob. 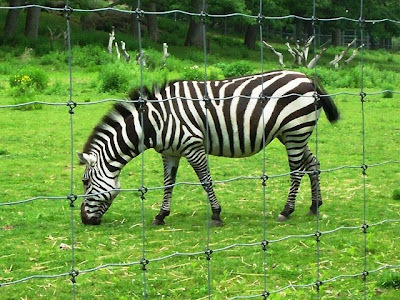 The exhibits were great and the park was very clean. Mom got attacked by a butterfly near the camel pen, and almost ripped her shirt off near the bongos because she thought that a bug was on her skin. She was wilder than the animals! Before leaving, we bought some overpriced souvenirs and a random woman stole a bench that we were going to sit on. On the way back, we stopped at Simco in Mattapan for hot dogs. There's a great story to this. 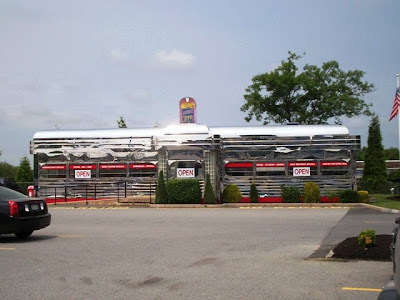 On the way to the zoo, Mom started to tell me about this hot dog stand that she and my grandparents used to visit when she was a kid. They had really great hot dogs and my Pepere used to drive all the way from Fall River at the spur of the moment when he felt like eating one. 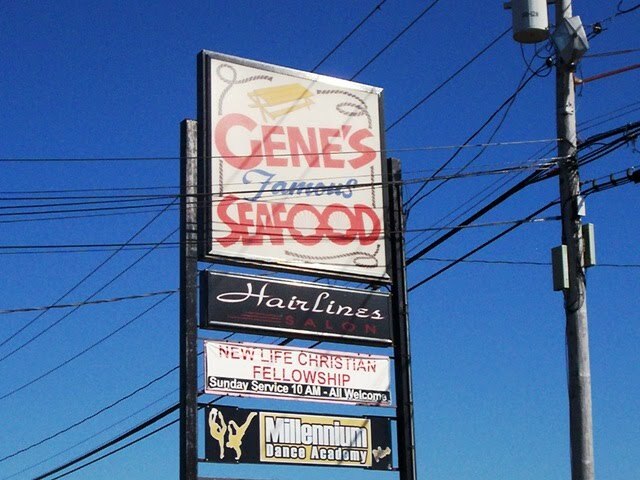 As she was telling me the story, we drove by and found that the place was still in business! 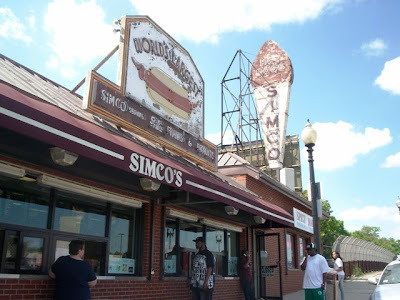 We later found out that Simco has been around since the 1930's. The hot dogs were absolutely delicious. They were nice and skinny; not over-sized like the ones at Spike's Junkyard Dogs. The bun actually fit the whole dog, and when we got them, the server put foil around them and put them in individual bags to keep the dogs as hot as possible. 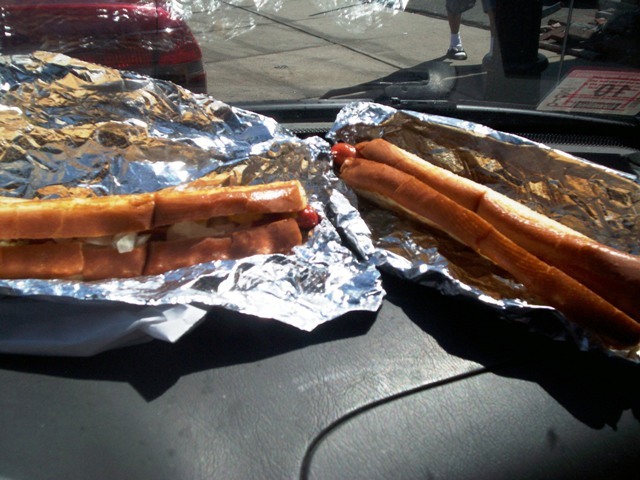 I got mine with the works (ketchup, mustard, onions, and relish) and Mom got hers plain. We had washed them down with Diet Cokes, and it only cost $9.90 for the whole thing. When we got back into the city, we were ready for dinner. We'd already had the hot dogs, so we weren't looking for a big meal. Plus, I was in the mood for window food (i.e., clam shacks and that sort of thing). 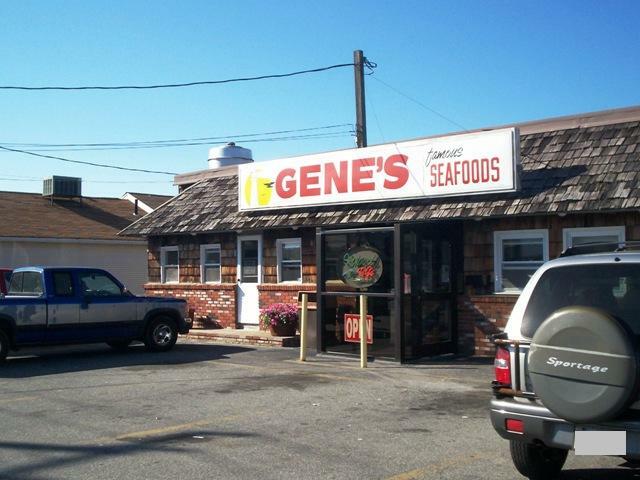 We decided to visit Gene's Famous Seafood in New Bedford because we'd heard great things. 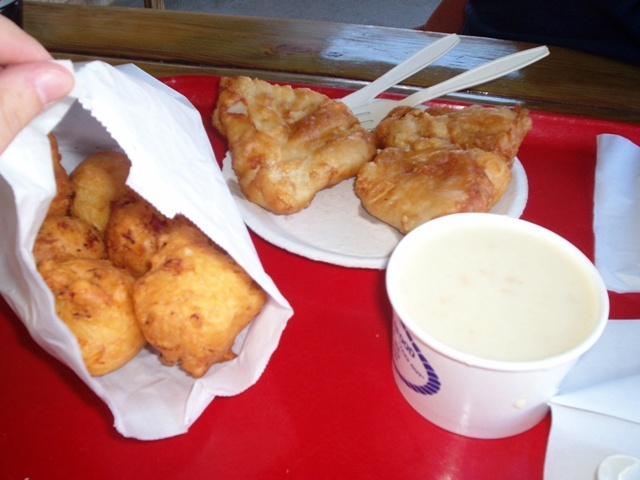 Mom chose an order of fish only, while I went with a half dozen clam cakes and a cup of chowder. The meal came to $14.34. 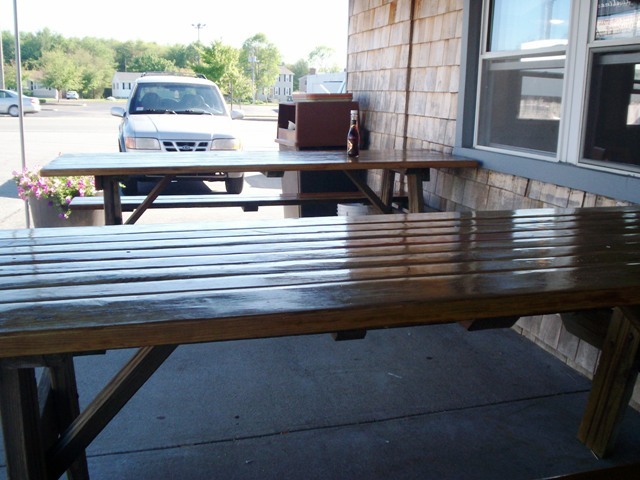 We sat outside in the shade on their awesome picnic tables. The food was fabulous! Everything was fresh and tasty. The chowder (white - not that weirdo clear or red) was extra creamy and Mom's fish was white and flaky. I dipped the clam cakes into the chowder and gave some leftovers to some nearby birds who were too picky to enjoy what we'd given them. Jerks. 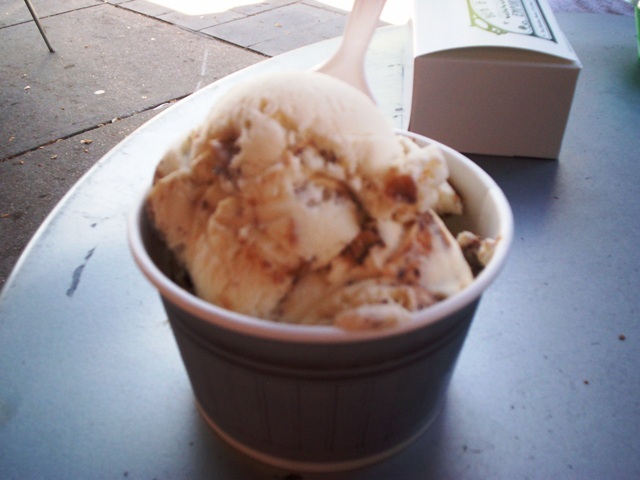 Then, to finish off our pigfest, we went for caramel ice cream cones at Lickety Splits in Westport. Here's what was left of Mom's when I realized that we hadn't taken a picture yet. 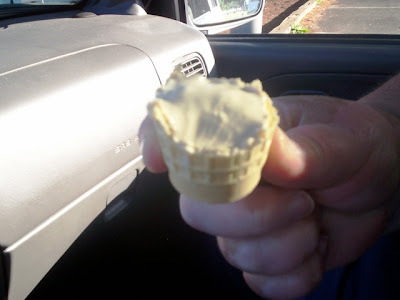 The remnants of ice cream. On Tuesday, we decided to head up to South Yarmouth for pancakes. Yep. We love taking long trips for food. 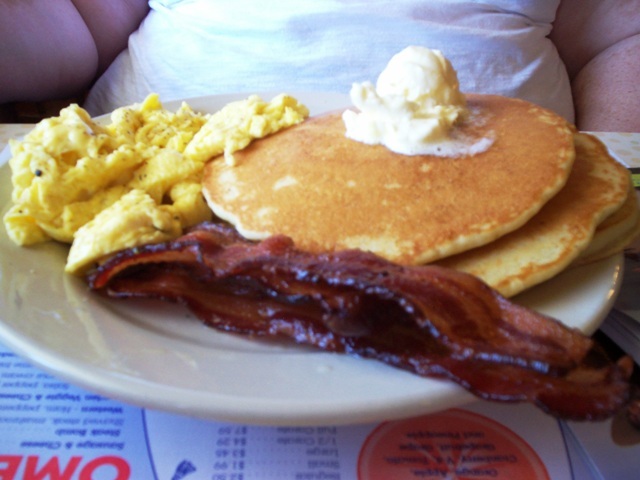 We visited The Pancake Man, where we'd been before and enjoyed ourselves. 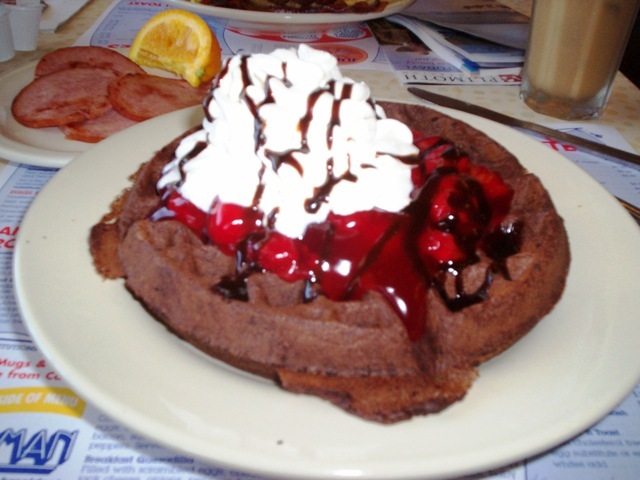 I had something called the black forest waffle, which is a chocolate waffle with cherries and whipped cream on top. LOVED IT. Mom had bacon, eggs, and - of course - pancakes. 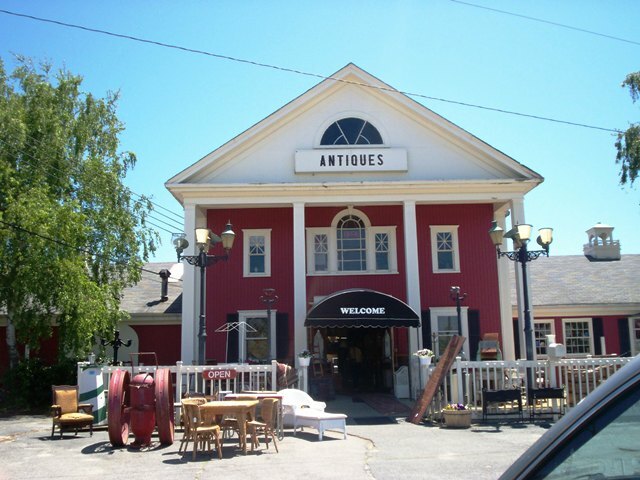 After our filling breakfast, we went to one of our favorite antique stores in Yarmouth, appropriately named Antiques Center of Yarmouth. Mom bought two collectible Fiestaware pieces, and while she wasn't looking, I bought her a third one and hid it in the car. Surprise! 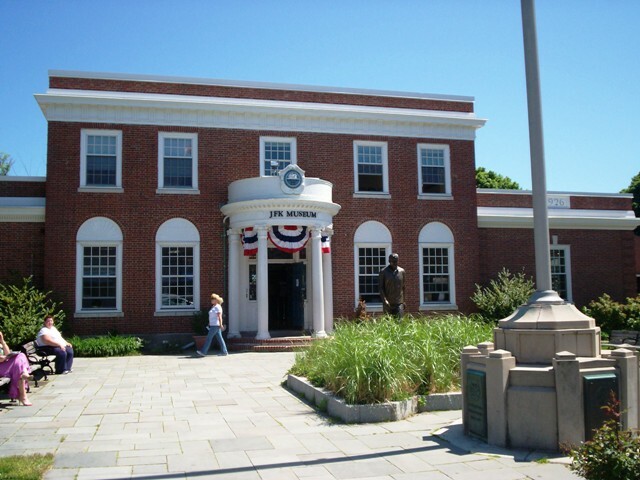 The next stop was the JFK Museum in Hyannis. 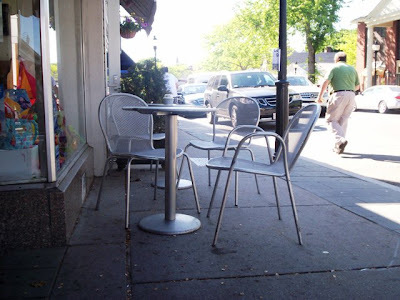 In the parking lot, some drunk guy told me that he had seen me the night before at Cape Cod Hospital. After trying, unsuccessfully, to convince him that I must have a twin, he walked away all pissed off. 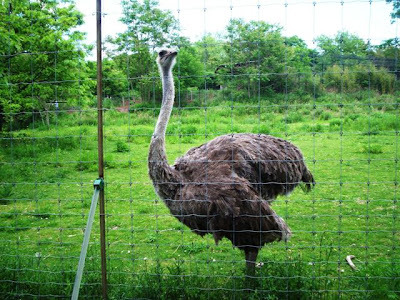 What a freak. Thankfully, the lovely museum made up for the sideshow in the parking lot. We watched a movie about the Kennedys spending time at their compound in Hyannisport, and we saw lots of private family photos of the clan growing up. 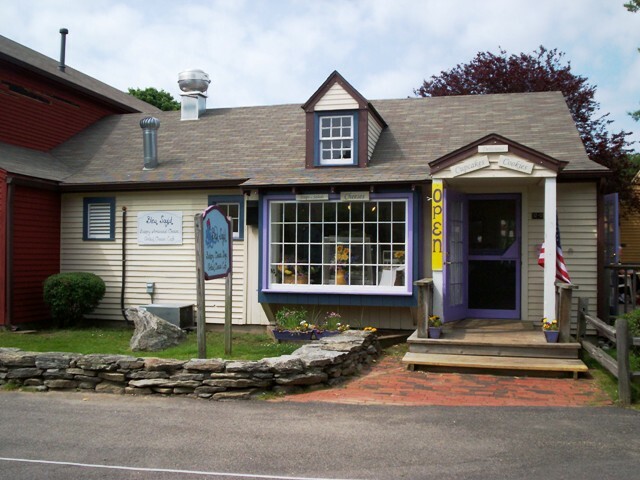 Of course, we visited the gift shop on the way out and bought more souvenirs. Since we can't go anywhere without eating twice, we decided to take a side trip to Falmouth to find Ben & Bill's Chocolate Emporium. We'd read about it online, but couldn't think of the name (Bob & Dave's, Ben & Bob's, Fred & Paul's, etc.). Boy, we were glad to have finally found this place. It was amazing. Think Willy Wonka's chocolate factory, only real. 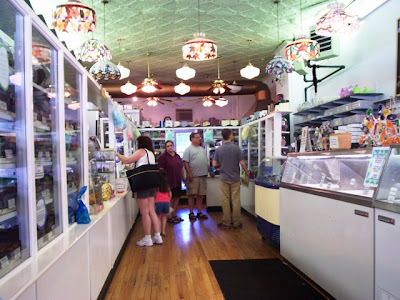 It had everything from homemade ice cream and fudge to candies and truffles. I think we spent the first ten minutes just trying to see everything. Mom ordered a small cup of caramel latte gelato, and I got a small cup of their famous buttercrunch ice cream. It was TO DIE FOR. Seriously. 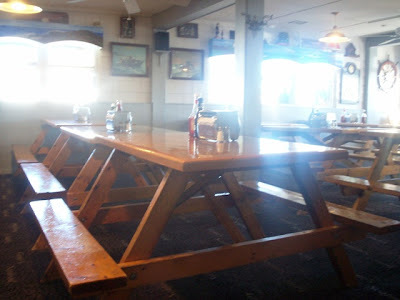 We sat out on their small tables and I almost died. It was that good. Mom's gelato was also out of this world. 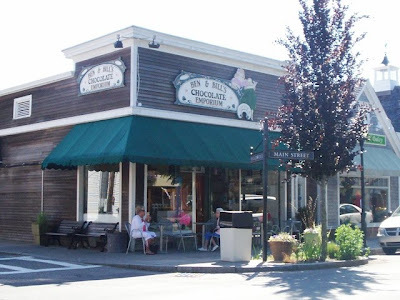 We also bought a half pound of fudge (a quarter pound of cranberry walnut and a quarter pound of chocolate marshmallow) and two large truffles for my Dad (milk chocolate and Bailey's). It cost about $20 altogether. Hours after we arrived back home, we decided to bust out the fudge. Wow. The cranberry walnut had real cranberries inside and was delicious and sweet, however, the showstopper was the chocolate marshmallow. 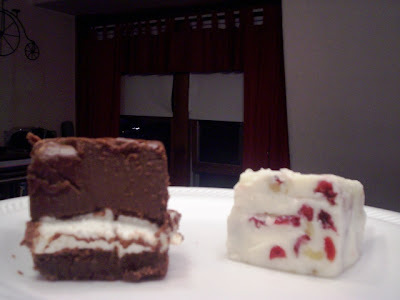 Made with real fluffy marshmallows, the fudge was deep, rich, and creamy. We ate both pieces without getting a sugar rush - now that's quality! 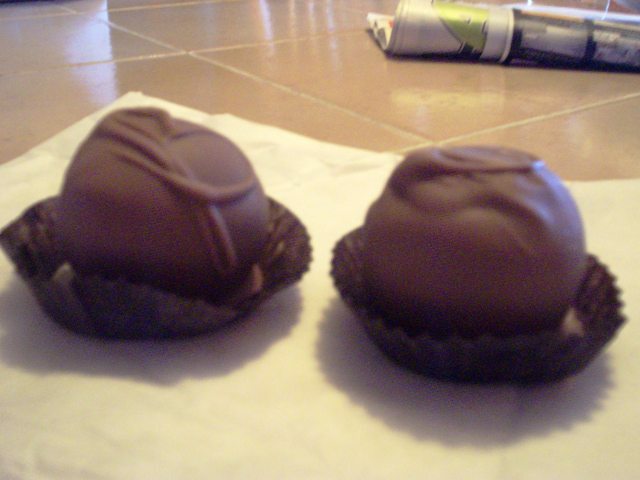 Dad also loved his truffles. On Wednesday, we stayed home. Mom was tired, I was miserable, and it was 96 degrees outside. Enough said. 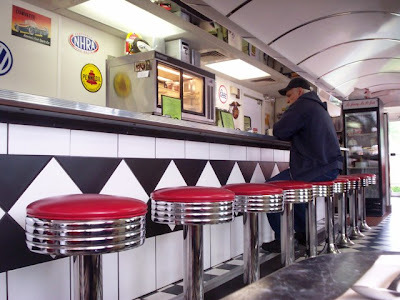 On Thursday, we got ready early and went to the Jukebox Diner in Somerset for breakfast. 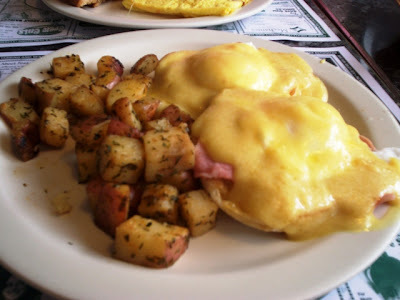 I had ordered the Portuguese eggs Benedict, but they put ham inside instead of chourico. Oops. Thankfully, it was so delicious that I wasn't all bent out of shape over it. 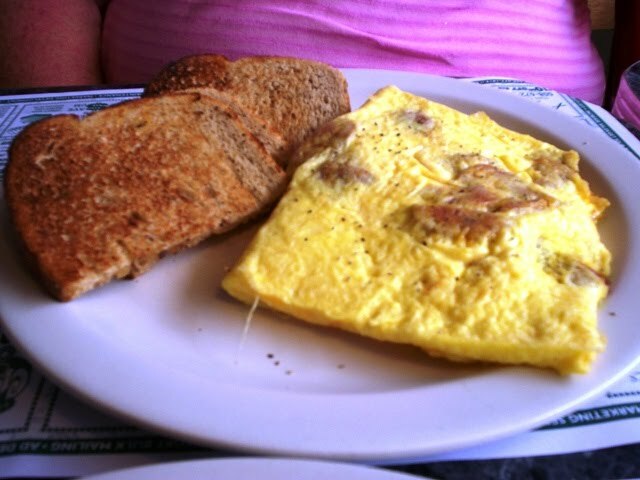 Mom got an American cheese omelet with chourico and rye toast on the side. We both loved everything. Yummy chourico and cheese omelet. The Jukebox Diner was adorable inside. 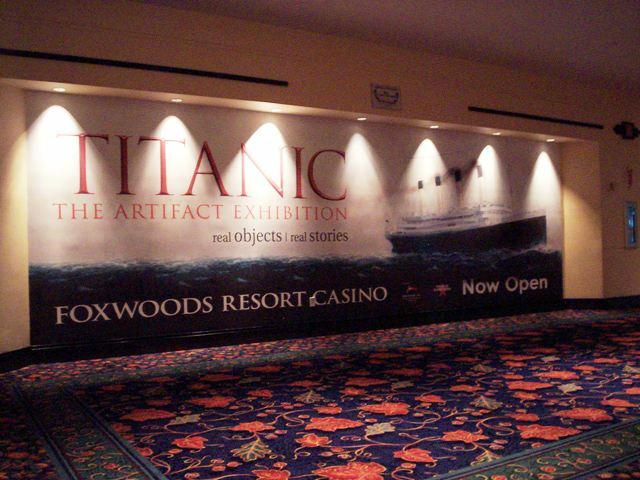 We'd always wanted to go, but I work out of town and Mom never gets up early enough for us to check it out. That's why I love vacations. You can do things that you never have time for. We'll definitely be back, and it only cost $13.82 for both meals because they were having a buy one/get one free special! After getting our protein on, we headed to Foxwoods in Connecticut to see the Titanic exhibit. It was really cool; better than we expected. 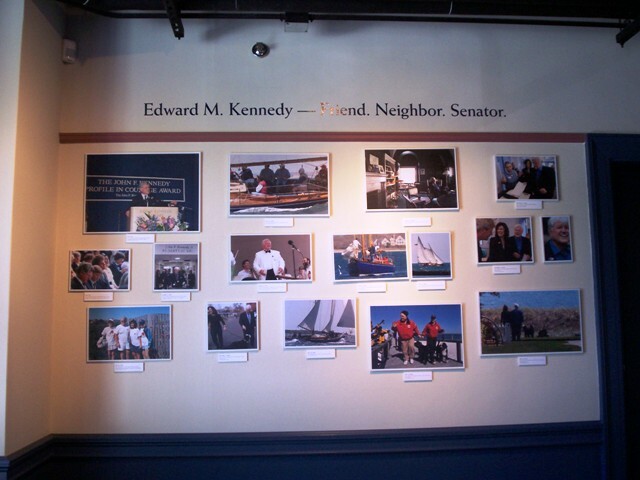 We saw a lot of artifacts, learned about the passengers, and touched a huge and FREEZING iceberg. Also, when we went inside, we were handed two boarding passes with names on them. At the end of the trip, we visited the wall of names to see if we were one of the saved or one of the lost. We both made it. The guy on the side of me was not so lucky. Of course, we ended the tour with a visit to the gift shop. When the tour was over, we decided to try our hand at the slots. This must have been our lucky day because Mom won $50 on a two cent machine and I decided to be brave and try a dollar machine and won $100. 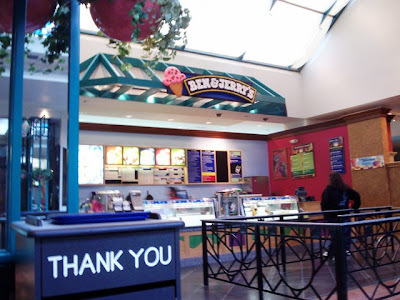 With our fancy new winnings, we went to Ben & Jerry's in the pavilion and had a snack. 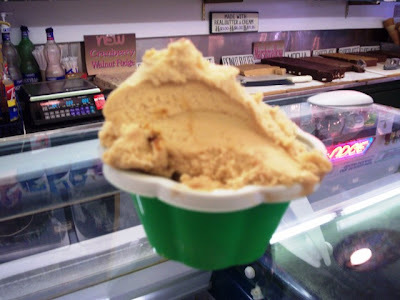 Why they don't make that seven-layer bar ice cream in pints is beyond me. 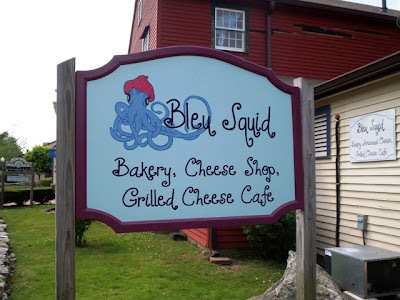 Before leaving Connecticut, Mom and I stopped at Mystic Village to visit Bleu Squid, a bakery/cheese shop that we had heard a lot of good things about. 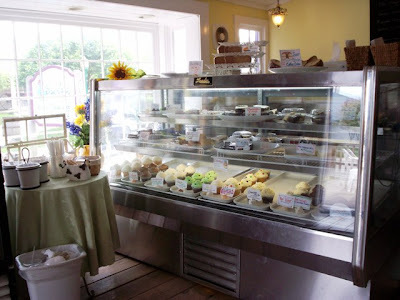 We got a few cookies (chocolate chunk, peanut butter, and sugar) and a box of cupcakes (mocha, chocolate mint, vanilla/chocolate, and red velvet/chocolate). The cupcakes made it home beautifully. That $5 cooler bag that I got at Walgreen's was one of the best purchases made in years! 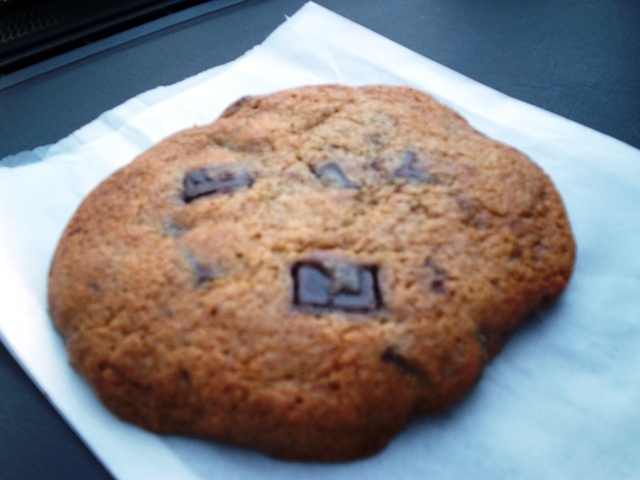 We had the chocolate chunk cookie in the car because it was still warm and the chocolate was all melty (love that). It was fantastic. 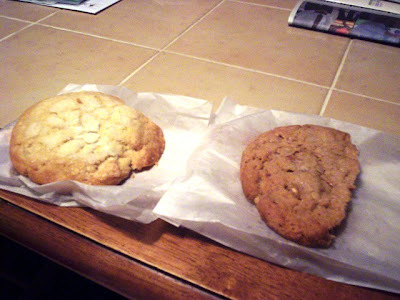 The other cookies, which we had later at home, were also great. These were definitely not the store-bought kind. There's nothing like a homemade cookie. So far, we've eaten two of the four cupcakes. We had the mocha and the chocolate mint - both of which had insanely flavorful frosting and a soft, chocolaty base. I can't wait until we break out the other two! 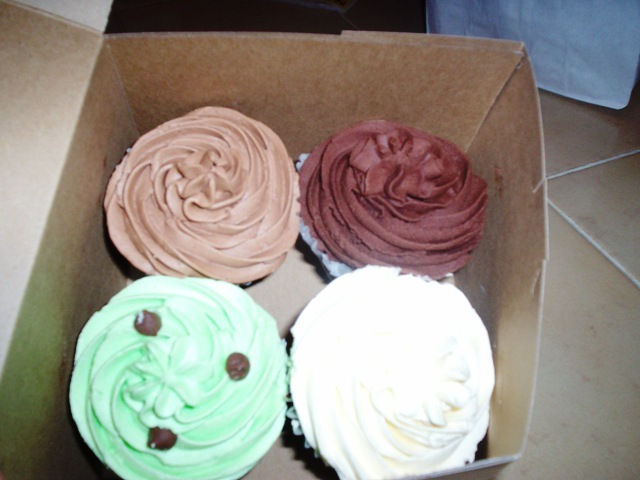 Clockwise from top left: mocha, red velvet, vanilla/chocolate, chocolate mint. Before we ended our trip, we took a ride through the new car wash (Big Blue) behind the Walgreen's in Fall River. It was awesome! My window doesn't work right, so I had to hold my jacket up against it so that I wouldn't get soaked. When I took my jacket away from the window, somehow, all the water that it was holding back went all over me. I went home with wet pants. What a way to end the day! 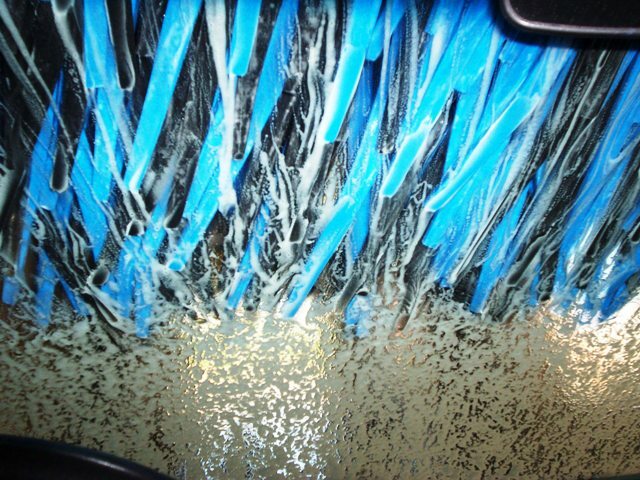 Suds and cloth flaps hitting my windshield. On Saturday, we plan on going to the Lizzie Borden museum. You think that since we live about three seconds from the place, we'd have been several times already. WRONG! It will be our first time in the murder house, and we can't wait. Stay tuned!